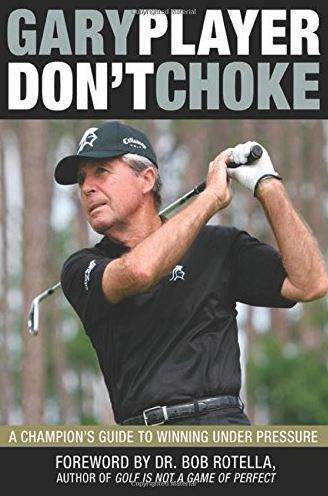 Gary Player’s latest book is a quick read with a lot of food for thought. In it, Player uses his eighteen majors (nine regular tour, nine senior tour) as the launching point for a discussion on mental toughness, confidence, and dealing with pressure. Fundamentals. Consider what your case has been built on. Make a note of the fundamentals that you believe to be important. It’s these fundamentals that will shape your success in business. When I began to shift focus from my playing career to my business career, I had certain fundamentals that I wasn’t willing to compromise on. For example, I have always stated that in business, everything is negotiable except quality. There were fundamentals that I applied to my playing career on the regular tour. They built my success on the golf course, and they helped build my success in business. The strength of your foundation determines the heights of your success. A bad shot must been seen in the light of its ability to force a correction. We learn the most through our mistakes, not our successes. And we grow the most in tough times. If you can get your head around this and see tough times as a chance for growth and deeper meaning, you will arm yourself with the most powerful weapon known to man—optimism. I really admire Gary Player. I love his optimism, and his dedication to health and fitness. I also love him for something he did for me … and he likely doesn’t even know it. A decade ago, I was attending the Ford Senior Championship in Dearborn, Michigan with my eldest son, who was about ten at the time. He and I spent the day following Player and Chi Chi Rodriguez through the round. About halfway through, Player left his ball and walked from the fairway to the ropes where we stood. He introduced himself to my son, shook his hand, and asked if he played golf. My boy responded hesitantly, but Player didn’t waiver. He said ““Son, it doesn’t matter what you do. But whatever you want to do, you must practice, practice, practice.” Then he went back to his ball. My son was speechless. I was even more so. Thanks, Gary, for your kindness and commitment. I hope Henrik Stenson picked up a copy this week!